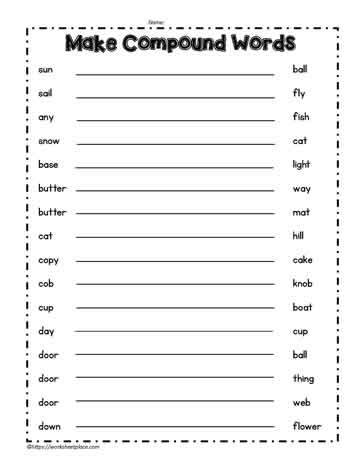 Compound words worksheets. Compound word printables. 2nd grade language worksheets. Students should understand what compound words are and what they aren't. Use these compound word printables to help develop the understanding of compound words. What is a Compound word? Compound words are two words put together. Anything, something, outside, upstairs are all examples of compound words.